No longer doing bat or dock replacements due to the age of the device and ongoing issues with charging and bat life after replacement. 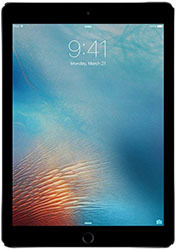 Being the first model in the iPad series, many potential buyers were skeptical that such a device could maintain any lengthy battery life. Apple stated the device would have 10 hours of use per charge cycle, although many users state that a full charge of the device will allow considerably more use. As with the iPhone lithium-ion batteries, the iPad battery life will decrease after a number of years of use sheerly due to the amount of charge cycles it has gone through. Call iMend iPhones today and have your iPad re-energised.